KeyStone Staffing Group connects job seekers with career opportunities throughout Wisconsin. We look forward to working with you. What sets KeyStone Staffing Group apart from other staffing companies is that we only work with the top employers in Wisconsin. This provides our candidates the opportunity to be considered for employment at a variety of company types and sizes. Know of someone looking for a job? 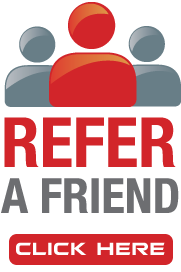 Refer them and you could be eligible for a referral bonus. See Our Listing On Milwaukee Jobs for more career opportunities!